ZSL works with the Kenya Wildlife Service (KWS) to protect flagship species such as black rhino and to build conservation capacity and infrastructure. ZSL has been working in Kenya with the KWS to conserve black rhino since 1993, providing training and technical support on strategy planning, habitat assessments, translocation programmes, population management and wildlife health initiatives. Over time, ZSL’s involvement in Kenya has grown, and we are now engaged with many other conservation projects and important species in the region. Over the past 30 years, Kenya’s wildlife has declined significantly. This is a result of illegal poaching, of rhino and elephant especially, as well as habitat loss and degradation. The growing human population is encroaching into protected areas and wildlife corridors, leading to unsustainable use of natural resources and increased human-wildlife conflict. Combined with growing impacts from natural disasters, such as more frequent and prolonged droughts, this has ultimately affected livelihoods and increased poverty amongst rural Kenyans reliant on their environment for their wellbeing. ZSL and the Kenya Wildlife Service (KWS) have worked closely together for over 20 years. ZSL has provided technical support and training for flagship KWS programmes. Since 1989, ZSL has established and supported wildlife health programmes, camera-trap monitoring, management strategies for protected areas and critically endangered species such as the black rhino, elephant and hirola. ZSL are improving law enforcement and ecological monitoring effectiveness with various partners across Kenya through use of new technologies such as SMART and Instant Detect. Tackling Illegal Wildlife Trade requires a holistic approach to multiple issues affecting wildlife crime. Supporting each of these issues will result in less threats to wildlife, and growing wildlife populations. The Boni-Dodori region forms the north-eastern part of the exceptionally rich Kenyan coastal forest ecosystem. It harbours unique and rare species, such as African wild dogs, the Aders’ duiker and the endemic golden rumped sengi. Political insecurity in the area means the biodiversity has remained poorly understood. ZSL is working with KWS and local communities to better understand the biodiversity of the area to ensure its effective management and conservation. ZSL is developing community-based conservation projects with the Maasai Wilderness Conservation Trust, to protect the important species-rich areas outside the borders of the official protected areas. This will allow communities to derive sustainable benefits from their natural resources, such as ecotourism revenue, grants for carbon initiatives and the training of local wildlife rangers. ZSL’s EDGE programme is also working to educate new conservationists in Kenya. The Kenyan coastal forests are globally recognised for their wealth in biodiversity and endemism. The Boni-Dodori forest marks the northern end of this unique system and is among the most fragile ecosystems in Kenya. The Boni-Dodori National Reserves were established in 1976 and covers over 2000km2 and is one of Kenya’s last remaining coastal forests. Yet, the area’s importance was only recognized very recently due to its political insecurity and inaccessibility. It still remains primarily intact but is at great risk from forest degradation and threats of development. Urgent action is needed to preserve it, while allowing it to be used in a sustainable way by the indigenous communities. Aders’ duiker, Cephalophus adersi, is the rarest of Africa’s forest antelopes, endemic to the forests of East Africa. Until recently, it was known only from several other coastal locations in Kenya, but was sighted for the first time in 2004 by a ZSL and Kenyan Wildlife Service (KWS) team in Dodori forest. A rapid survey was undertaken by ZSL, KWS and Whitley Wildlife Conservation Trust (WWCT) in 2008 to establish its distribution. Results of the survey even suggested the Boni-Dodori forest was a stronghold for the Ader’s duiker population, and so a globally important area for its conservation. The Aders’ duiker is threatened by habitat loss and fragmentation, and hunting for bushmeat. Population estimates show that over the last 20 years the number of Aders' duikers has fallen by around 80% from 5000 individuals to around 1000. Boni-Dodori is a priority area for research and conservation efforts, and ZSL are working with KWS to carry out more in-depth surveys of these forests. Boni-Dodori's biodiversity needed to be understood before action could be taken to protect it. In 2010, the ZSL and KWS (Kenya Wildlife Service), with partners WWF and Whitley Wildlife Conservation Trust, set up camera traps in three locations around the Boni-Dodori region and in Arabuko-Sokoke Forest National Reserve. Just under 63,000 images were collected, revealing 40 mammal species, including a potentially new species of giant sengi (Macroscelidea). These findings have fuelled plans for a wider conservation project that aims to continue developing our understanding of Boni-Dodori’s biodiversity, train Kenyan scientists and forestry staff to study and manage the area, and to raise awareness in local communities of its importance. Ultimately, preserving the valuable coastal forest ecosystem without impinging on the livelihoods of the local communities. Kenya is renowned for its wildlife and diverse ecosystems protecting many endemic and threatened species. It has a number of protected areas covering more than 8% of its land area which has helped develop the growing tourism industry. Wildlife viewing drives Kenya’s tourism, vital for its economy and major source of employment. ZSL is supporting The Kenya Wildlife Service (KWS) in its mission to conserve, protect and manage Kenya’s biodiversity. KWS is the national wildlife agency responsible for the conservation and management of Kenya’s wildlife and stewardship of its national parks and reserves. 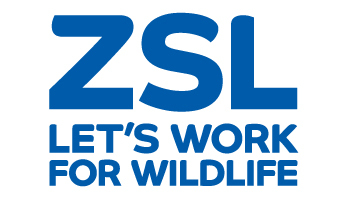 ZSL and KWS have worked closely together for over 20 years. ZSL has provided technical support and training for a number of flagship KWS programmes. Since 1989, ZSL has established, advised, built capacity for and supported wildlife and livestock health programmes, patrol-based and camera trap monitoring, intensive protection zones, and strategic planning for protected areas and critically endangered species, including the black rhino, forest elephant and hirola. The Critically Endangered black rhinoceros is one of the world’s most endangered mammals, due to rampant poaching. Kenya has significant numbers of these animals, making it central to the global conservation effort. Rhinos, like other large charismatic herbivores, require large areas to support populations. As a result, they act as ‘umbrella species,’ because the successful conservation and protection of rhinos within an area benefits the many other smaller species there. Between 1970 and 1990, the number of black rhino in Kenya fell from over 20,000 to just 350, due to the high level of poaching. In response, ZSL, KWS and partners have invested heavily in the conservation of this natural treasure since 1993. The focus has been moving rhinos from high-risk areas into secure confined sanctuaries. The increased protection in sanctuaries minimised poaching levels, allowing the population to begin rising slowly. The rhinos’ breeding potential could also be maximised by relocating animals when the maximum population was reached in a particular area. In Africa, the black rhino is critically endangered, having suffered a catastrophic decline, both in numbers and in the extent of their range. Poaching for the illegal demand for rhino horn continues to be the major immediate threat for all rhinos and an upsurge in poaching over the past few years has put increased pressure on survival of the species. Through the support of the Royal Foundation and Google Global Impact Awards, ZSL is working with KWS to find innovative ways to fight illegal poaching including Instant Wild and SMART. Through the Newman’s Own Foundation ZSL is supporting the development of a new rhino sanctuary in Tsavo East National Park, while continuing to support KWS efforts in the Ngulia Rhino Sanctuary and Intensive Protection Zone in Tsavo West National Park. ZSL are working in Tsavo to test a new financing mechanism, the Rhino Impact Investment project, which will look to raise significant funding for rhino conservation AND help to support and secure rhino populations in key priority areas. KWS Conservation and Management Strategy for the Black Rhino and Management Guidelines for the White Rhino in Kenya (2007-2011). KWS Conservation and Management Strategy for the Elephant in Kenya - 2012-2021, compiled by Moses Litorah, Patrick Omondi, Richard Kock, Rajan Amin.